Bingo has been popular in New York state for decades, but bingo venues throughout the Southern Tier are attending. Bingo halls in the region, which support charities such as fraternal organizations, churches, and veteran groups, are reporting that attendance has been dwindling since 2013. In 2009, Broome County reported bingo attendance at 48,897 players, and events raised about $1 million USD. In 2013, attendance had dropped by about half, and the money raised decreased by almost 50 percent as well. Chemung County reported a 72 percent decrease in the number of bingo players and a 68 percent drop in fundraising; in 2009, 28,262 bingo players spent almost $600,000 USD but in 2013 only 8,008 people attended bingo games, raising a little more than $190,000 USD. In the entire state of New York, the percentage of decline was similar; about 2.4 million people played in 2009, but just 890,208 people played in 2013. Statewide, the number of organizations hosting bingo events dropped by 73 percent, down to 213 from 786; bingo revenue fell 70 percent, from almost $71 million USD in 2009, to about $21.4 million in 2013. While $21 million is nothing to sneeze at, the decline is mirroring that of Britain’s bingo decline, with numerous bingo halls having folded in recent years. Gambling Competition and Poor Economy to Blame? From the 1970s through the 1990s, and even in the 2000s, many organizations throughout the area held regular bingo games and boasted packed houses. Jim Protts, president of the Ithaca Veterans of Foreign Wars Post 961’s men’s auxiliary, said, “Oh, yes, it was wonderful. Bingo was really big in Ithaca. It’s pretty much gone now. It’s a shame.” He went on to note that the smoking ban hurt attendance at the VFW; fewer volunteers were available to run games, and fewer players were attending. Many of the organization’s members are World War II veterans, and are in their 80s and 90s. “We don’t get that many young people,” Protts stated. Bingo managers and organizers across New York reported that most of the state’s bingo players are senior citizens. Walt Luberecki of Endicott’s Elks Lodge believes the economy is to blame for New York’s bingo decline. When the economy soured, bingo numbers went south. Today, the Elks’ highest attendance dates occur at the beginning of the month, when seniors living on fixed incomes spend $3 for a set of 12 bingo cards and enjoy an evening out with friends. Many arrive early to get good seats, and most purchase a few extra cards to increase their chances of winning. Bingo night at the Elks lasts for about three hours. 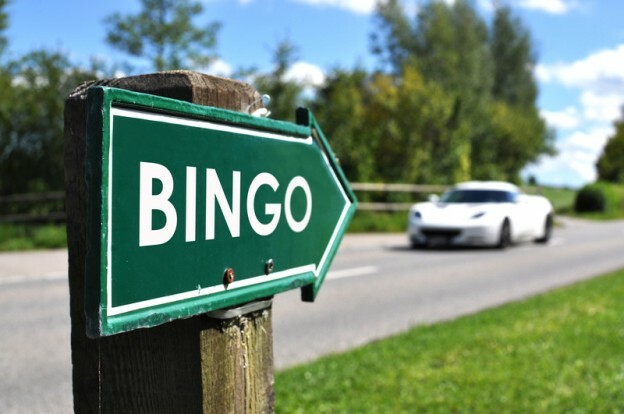 As casinos in California and elsewhere have proven, adding bingo to the menu of available games and increasing excitement have bolstered numbers, as has adding separate areas where smokers can relax and enjoy playing without worrying about offending others with secondhand smoke. Could this be a solution to New York’s dwindling bingo attendance? Time will tell.